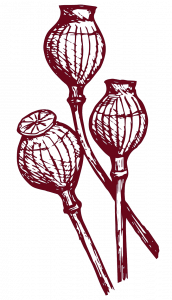 Resource Center What Are Opiates? A class of drug derived from the opium poppy plant and with analgesic (pain-relieving) properties, opiates include both the illegal drug heroin and a wide range of prescription painkillers. Opiate often refers to natural substances created from the opium plant directly, such as heroin, morphine, and codeine. Opiate is often replaced with the term opioid, which also includes synthetic and semisynthetic derivations, such as the prescription drugs fentanyl (Duragesic and Sublimaze), hydromorphone, OxyContin(oxycodone), Percocet (oxycodone and acetaminophen), Vicodin (hydrocodone), and methadone. All of these drugs act on opioid receptors in the brain, filling them and thus blocking pain and increasing pleasure. Neurotransmitters, which are the brain’s chemical messengers, are not transmitted, reabsorbed, or produced the same way when opiate drugs are present. Dopamine is one of these affected neurotransmitters; it elevates pleasure and impacts a person’s mood regulation and impulse control abilities. In short, opiate drugs not only decrease symptoms in those who suffer from mild to severe pain, but they also have mind-altering effects. When used outside of a legitimate prescription, opiates can cause a euphoric and desired “high.” These drugs are also highly addictive, as even with regular use under the parameters of a prescription, individuals can become tolerant to and dependent on them, potentially leading to opiate abuse. Opiates are some of the most abused drugs in the world. The National Institute on Drug Abuse (NIDA) reports that between 26.4 million and 36 million people abuse them on a global scale. At the time of the National Survey on Drug Use and Health (NSDUH) in 2014, an estimated 4.3 million Americans (aged 12 and older) were considered to be currently abusing prescription pain relievers and another 435,000 were abusing heroin. Opioid drug abuse is not confined to one demographic; however, the largest percentage of people misusing these drugs in 2014 were between the ages of 18 and 25. Also, one out of 23 high school seniors reported misusing the prescription painkiller Vicodin in 2015, according to the Monitoring the Future (MTF) survey published by NIDA. On the street, these drugs are called big H, brown sugar, narcs, oxy, hillbilly heroin, horse, junk, OC, vikes, hydro, smack, schoolboy, China white, apache, goodfella, demmies, Miss Emma, fizzies, tango and cash, murder 8, O bomb, octagons, stop signs, roxy, footballs, dust, and percs, among other names. Any use of heroin or nonmedical use of a prescription opiate is considered abuse. Prescription opiates are abused by swallowing pills or tablets beyond the scope of a prescription or without a prescription, by chewing them, or by crushing them to smoke, inject, or snort the resulting powder. Heroin is generally made into a white or brown powder that is typically smoked, snorted, or injected. Prescription painkiller abuse rates have skyrocketed so high that drug manufacturers have created new tamperproof versions of some narcotic medications, like OxyContin, to make them harder to crush in order to smoke, snort, or inject the resulting powder. First introduced in 2010, when these versions are crushed, the resulting residue is gummy and not conducive to abuse. In 2013, the US Food and Drug Administration (FDA) recommended that many powerful prescription opiates be rescheduled from Schedule III to the more tightly controlled Schedule II by the Drug Enforcement Administration (DEA). In October 2014, this rescheduling was finalized, the American Society of Addiction Medicine (ASAM) reports. As a result of new formulations of these medications and stricter regulations, abuse rates of prescription pain relievers dropped initially; however, heroin abuse rates began to creep up. Heroin offers a cheap, and often more accessible, alternative to harder-to-get prescription opiates. Heroin abuse rates for those between the ages of 18 and 25 more than doubled between 2002 and 2012, and abuse increased in virtually all age, socioeconomic, gender, and cultural demographics, the Centers for Disease Control and Prevention (CDC) reports. Physically, opiates act as central nervous system depressants and slow heart rate, blood pressure, and respiration. They also lower body temperature and anxiety levels, and minimize the body’s stress response. Psychologically, opiates impair decision-making abilities and mental functioning as well as motor coordination and reflexes. While intoxicated, individuals likely experience a “rush” and may become more social and take bigger risks, have decreased pain sensations, become flushed, struggle to breathe normally, not be able to think clearly, and may suffer from nausea, vomiting, and constipation. Spontaneous abortion in pregnant women is also a possible side effect of opiate abuse and intoxication. Erratic and out-of-character behaviors, and the potential to engaging in questionable sexual practices, may be heightened by opiate abuse. 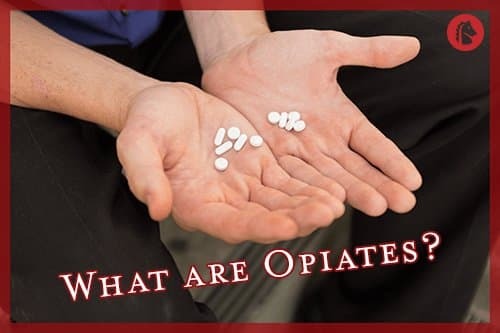 Therefore, the odds for being in an accident, becoming injured, or contracting a sexually transmitted or infectious disease go up with opiate abuse. Immediate consequences of opiate abuse include the risk of a potentially fatal overdose. Long-term use of an opiate drug can lead to drug dependence and addiction. Every 19 minutes in the United States, someone dies from an opioid overdose, per CNN. Overdose rates have reached epidemic levels in America in recent years, reaching an all-time high in 2014, the CDC warns. Sixty percent of the nearly 50,000 overdoses in the United States in 2014 involved an opioid drug, and more people died from a drug overdose than any other accidental means, including car crashes. While prescription drug overdoses are a major concern, heroin overdose rates more than quadrupled in 2013, the CDC publishes. An overdose on an opiate typically becomes fatal when respiration rates are lowered too much. An individual may struggle to breathe and then stop breathing altogether. Body temperature also drops significantly, and lips, skin, and nails may turn blue and be cold and clammy to the touch. Pulse is weak and heart rate becomes irregular during an opiate overdose. A person likely becomes confused and drowsy, and may lose consciousness when opiates reach toxic levels in the bloodstream. Pupils may become constricted. An opiate overdose is a medical emergency and may be reversed by the prompt administration of an opioid antagonist, such as Narcan (naloxone). Many first responders carry this medication. Combining other mind-altering substances, especially those that also depress the central nervous system, with opiates increases the odds for a potential overdose and also amplifies the possible risk factors and complications. The CDC warns that individuals abusing heroin also abuse other drugs around 90 percent of the time. Opiate abuse often results in a medical emergency, whether the consequences are fatal or not. Heroin accounted for more than 20 percent of all illicit drug-related emergency department (ED) visits in 2011, according to the Drug Abuse Warning Network (DAWN), while pain relievers were involved in just over 46 percent of ED visits from the nonmedical use of pharmaceuticals. As published by DAWN, over 250,000 people received emergency medical care at an ED for negative reactions to heroin use while close to 500,000 received ED care for the abuse of a prescription opioid in 2011. Opioid drugs are considered to be some of the most addictive psychoactive substances out there, as makers of the prescription drug OxyContin, Purdue Pharma, warn people that even using this drug under the direction of a medical provider, and with a medically necessary prescription, can be habit-forming and lead to addiction. As brain chemistry is disrupted and some of the circuitry is altered from opioid use, the changes made by these drugs can become more ingrained over time. For example, levels of dopamine are impacted by chronic opioid use, as reabsorption of this neurotransmitter is prevented when opioid drugs fill the opioid receptors in the brain. This results in higher than normal levels of dopamine, which is what causes the burst of euphoria, or “high.” As opioids then wear off, dopamine levels fall. When this pattern is continually repeated, the brain may struggle to continue to make dopamine in the amounts it did before, and drug dependence is often the result. Tolerance can set in quickly with chronic opioid use. An individual will then need to take higher doses of the opiate more often in order to keep feeling the drug’s effects. Increasing the dosage can more rapidly lead to drug dependence. Typically, withdrawal symptoms peak in about 2-3 days and start to decrease after 7-10 days, the Substance Abuse and Mental Health Services Administration (SAMHSA) publishes. The duration and severity of opiate withdrawal are variable, and they can generally be tied to a person’s level of drug dependence, which may be influenced by biological, environmental, and genetic factors. Opioid withdrawal is often described as being like a really bad case of the flu, with emotional lows and cognitive deficits added in. 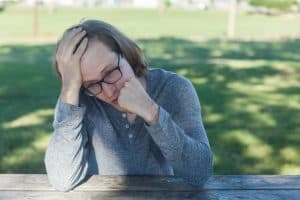 Since the side effects of opiate withdrawal can be so significant, it is not recommended that individuals stop taking these drugs without professional help. Instead, those addicted to opiates should undergo medical detox. Medications, such as methadone or buprenorphine, are often used during medical detox to ease the body’s transition off opiates, helping to decrease withdrawal symptoms and reduce cravings. Medications should always be used as part of a larger comprehensive treatment program that includes intensive therapy. 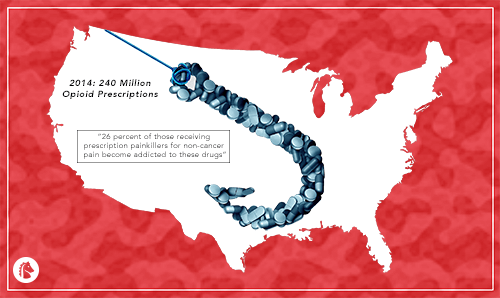 ASAM reports that around 2 million Americans struggled with addiction to prescription opioids, while more than a half-million battled heroin addiction in 2014. The CDC warns that nearly half of all of those who abuse heroin in the United States suffer from prescription opioid addiction. Addiction is a brain disease with ramifications reaching beyond just physical drug dependence, withdrawal symptoms, and possible health complications. When a person battles drug addiction, their emotional health, behaviors, actions, and interpersonal relationships are impacted. Addiction can cause a person to lose control over their drug use and keep using drugs despite awareness of the potential consequences that will result. Employment, grades, and finances may be negatively affected, and legal consequences may be the result of actions perpetuated due to opiate intoxication, addiction, or attempts to obtain more drugs. Mood swings, erratic behaviors, aggression, hostility, and a lack of interest in previously important recreational and social activities are often signs of opiate addiction. As a result, people who struggle with addiction to opiates may not be able to keep up with family, school, and work obligations. Fortunately, addiction is highly treatable. With a comprehensive addiction treatment program that includes medical detox, behavioral therapies, counseling, support groups, education, and life skills training, recovery is well within reach.